Amazing and beautiful 1427 Sf 3-bedroom 2 bath custom built home on a quiet and private road in an area near schools and shopping with an amazing open floor plan and quality engineered wood flooring, remolded Granite countertop bathrooms and nice sized bedrooms. The kitchen has granite countertop and pull up storage cabinet. The dining room has built in cabinet for extra storage and entry door to the back yard. Seller just put in a brand-new energy efficient water heater and not to mention water softener in the garage. The front landscaping is gorgeous with well-maintained drought tolerant landscaping, plants, and flowers. 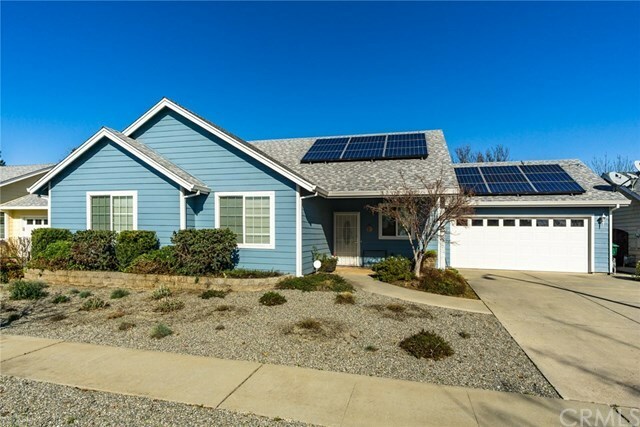 Power purchase Vivint Solar installed for super low PG&E bills will save you lots of money. The garage has numerous built-in cabinets and drawers for extra storage as well as a laundry sink. This is a super cute home! !